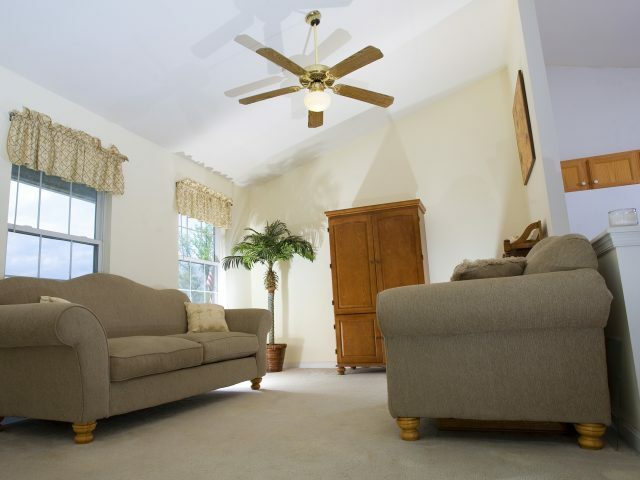 Buying a ceiling fan for your home is an essential investment that is intended to last for many, many years to come. Although it may be tempting just to choose whatever style or design you like, the savvy homeowner does a little bit of research to ensure that they are buying a high-quality appliance. When it comes to a high-quality fan for a small room, you need to look at factors such as fan construction, room size, materials, requirement and motor performance. One of the most important considerations is the size of the room. The room size will naturally affect air distribution. Smaller fans with blades below 40″ or 30″ are best for small rooms like kid’s bedrooms or bathrooms. Dens and kitchens, on the other hand, may fit the medium category and should have the fan blades over 40″ Large rooms like family rooms and recreation rooms should have fans blades over 50″ or 60″. The high-quality products you can find share a few things in common – first and foremost, these appliances will move efficiently and ultra-quiet. Their parts are incredibly well-designed, and typically, fans will feature motors with variable speeds. There are quite a few well-known companies that put their money where their mouth is as far as the quality of their appliances. Some brand names you want to know include Minka Aire, Fanimation, Atomberg, Kichler, Emerson, Baja, Khaitan and more. You will find nothing but incredibly well-constructed appliances from these companies. The purpose of your ceiling fan will understandably affect your choice. Some fans are really chosen more for decorative purposes than anything else. Of course, many people also choose ceiling fans for functional reasons. If you want a purely decorative fan, you could go for one that has a small motor and intricate design. Fan models also differ according to whether they are intended for indoor or outdoor use. Of course, you can never put your taste as a second priority. Obviously, your choice of Hunter ceiling fans should also match your style preferences. You can pick blades in various colors and finishes. Your blade finish, however, should ideally match the color or furniture theme of your room. If you like some flexibility, you can always pick a Hunter fan with reversible blades. One side can have a slightly different color or shade so you can switch blades as you change room decorations. Do yourself a favor and investigate the quality of the materials that your fan of choice is made out of. You will especially want to pay close attention to the materials if you’re looking for an outdoor top ceiling fan model. Exposure to the elements outdoors means that your fan should be designed to withstand such conditions. Look for models that are rust-resistant with a small, even finish. Nothing is worse than investing money in an appliance that rusts and tarnishes over time. Go for another model instead that will offer a timeless look and finish. Perhaps the most important factor to pay attention to is the motor. Your ceiling fan motor must have sealed bearings for hassle free maintenance and easy lubrication. This ensures that your appliance runs for an extended period. Properly balanced engines and rotors dramatically reduce noise and vibrations. Self-contained oil reservoirs are a must for preventing dust from getting in the motor. This only helps to promote smoother, quieter fan operation and many years full of comfort and enjoyment. Ultimately, the highest quality ceiling fans in the market are backed by a long-term warranty. Make sure that whoever the manufacturer of your new fan is that they are standing behind their name and reputation for well-made, quality products.